‘Tis the season for camping trips and beach parties, barbecues and patio drinks, and you can bet that insects of all shapes and sizes are rubbing their little feet (forelegs?) together in glee at the smorgasbord they’ll get to sample over the next few months. Depending on where you’re located, you may have the dubious honor of being gnawed upon by mosquitoes, deer flies, no-see-ums, or other flying bite-y things. Since walking around draped in netting isn’t at the top of anyone’s summer “to-do” list, the best bet to avoid becoming a walking buffet is insect repellent. Jump ahead for a few homemade repellent recipes. There are a number of different bug repellents on the market, but many of them have harmful chemicals that you really don’t want to absorb into your bloodstream (like DEET). DIY repellents can be quite effective alternatives, but you have to be diligent when applying them, as they tend not to last as long as their store-bought counterparts. Tea tree seems to work best against ticks, chiggers, and deer flies, while citronella, lemon, and eucalyptus are the best for fending off mosquitos and black flies. According to one study, geranium blended with peppermint is also a great combination to keep mosquitoes away. 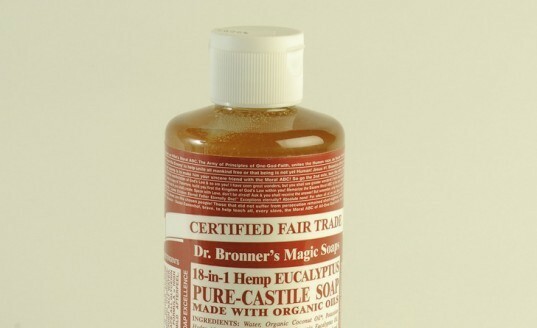 Remember that you should never use full-strength EO directly on your skin; instead, they should be mixed with a carrier of some sort before being applied. You can add a few oil daubs to outer clothing (like around the tops of your shoes), but only where they will not come into contact with skin. Try to only use one EO at a time, but if you’re really intent on mixing scents, aim to keep them within the same scent family—lemon can work with lemongrass, but smells downright rank when blended with eucalyptus. You can blend the latter with lavender, but sparingly. 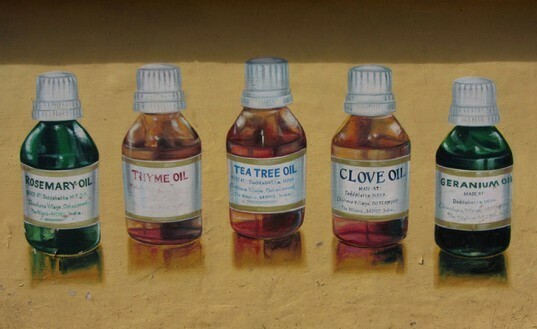 Lavender can work well with peppermint or rosemary, but use clove or tea tree oils on their own. Create a 50/50 mix of witch hazel and water, and add 15 drops of the essential oil of your choice. 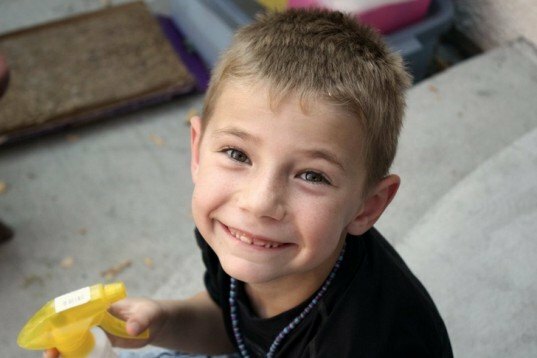 Spray on arms, legs, backs, and necks, and keep the wee ones away from heavily forested areas and stagnant water. If possible, treat the area in which they’re going to be playing by smoking it out with cedar boughs, or by setting up bug traps to draw attention away from your loved ones. For dogs and outdoor cats, spray a bit of this on their legs, tails, and around their collars. You can also daub some full-strength tea tree, eucalyptus, or citronella oil onto the outside edges of collars to discourage biters from taking up residence beneath them. Create a 20:80 mix of water and witch hazel, add a teaspoon of vegetable glycerin, and 30 drops of essential oil. Hose yourself down with this stuff if you’re in an insect-heavy area, and re-apply when the scent starts to fade. Feel free to do a blend of lemon and eucalyptus, or tea tree with rosemary; if you have a negative skin reaction, or if you really don’t like the smell, discontinue use. Mix the two together and slather on your kid’s arms, legs, and other body parts exposed to the wild. If you’re using this on small children and they happen to get it in their mouths, it won’t taste great, but it won’t do them any harm. Smear this mixture all over your arms, legs, neck, and hairline if you’re going to go trudging through the woods, or will be gardening in bug-happy areas. As soon as you get back inside (or to your campsite), wash it all off. Not only does this work really well to fend off insects, but you’ll already be soaped up when you hit the shower. The reason this one is better for older folks is that we’re a bit less likely to put our hands in our mouths, or to accidentally lick some part of ourselves that may have ice cream or other snack-stuff dribbling on it—a mouthful of soap isn’t fun for anybody. Wear light-colored clothing, including hats. Avoid perfume, hairspray, or deodorant that has a fruity/sweet scent. Try not to eat tropical fruit, as your sweat will be deliciously fragrant. Noshing on garlic might help, and taking a couple of tablespoons of cider vinegar in water every day may change your body’s pH level enough that you’ll smell less scrumptious. If you can, avoid going outside during the times when insects are most active, such as early morning, and sunset. Midday seems to be a fairly safe time for outdoor shenanigans, but that’s also when the sun is at its most powerful and most likely to burn you. 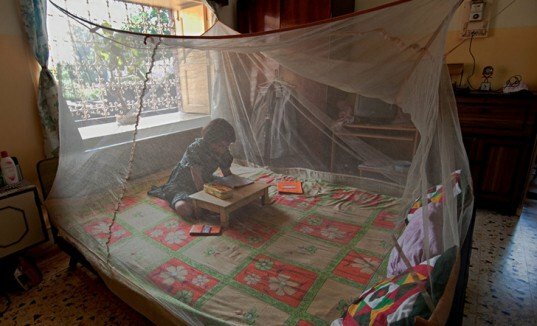 Put up mosquito netting around beds and play zones. Stick to screened-in areas whenever possible. 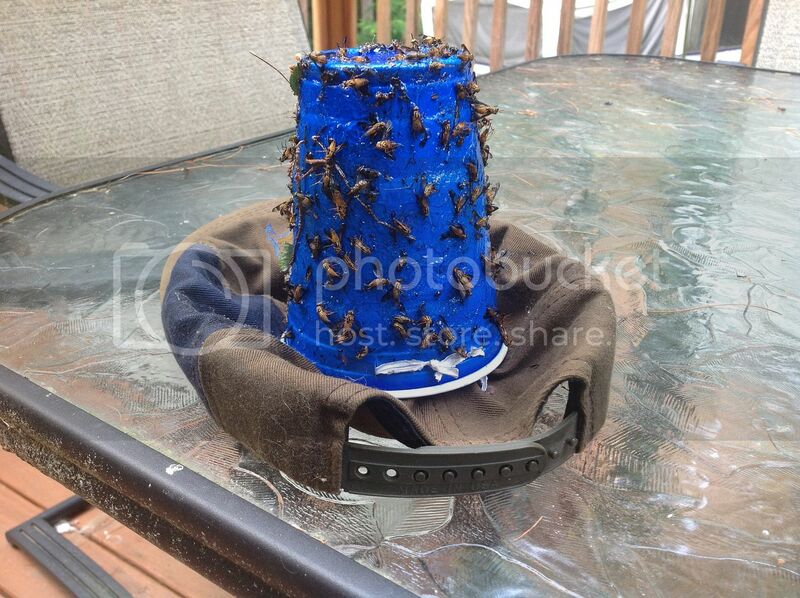 If you find that you’re getting attacked by deer flies or horse flies when you’re out in wooded areas, you can also use a sticky royal blue trap: coat a royal blue plastic plate or cup with Tanglefoot and then hang it on your bag, hat, or backpack. The flies will be attracted to the color and get stuck, keeping you bite-free. Check out getyourbug.com its a fake dragonfly on a wire it works great using the scare crow approach iterally scares deer and horse flies off. Best one i've used is Anar Naturals Mosquito Repellent Lotion from Amazon...no deet and natural...no junk on my skin and does the job. Eucalyptus works well. I have tried the same and recommend to anyone who has a problem with mosquitoes. Aside from cleaning my surroundings, I am also using an all natural mosquito repellent I found on Amazon it's called Sweetly Citron. It's really effective with no chemical mixture. 'Tis the season for camping trips and beach parties, barbecues and patio drinks, and you can bet that insects of all shapes and sizes are rubbing their little feet (forelegs?) together in glee at the smorgasbord they'll get to sample over the next few months. Depending on where you're located, you may have the dubious honor of being gnawed upon by mosquitoes, deer flies, no-see-ums, or other flying bite-y things. Since walking around draped in netting isn't at the top of anyone's summer "to-do" list, the best bet to avoid becoming a walking buffet is insect repellent. Jump ahead for a few homemade repellent recipes.